From your PC, Mac, or mobile device. 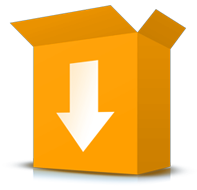 Want to send large files? We've got the answer. Files too big to send by email? No need to install any software - try it now! DropSend was unable to send your file(s) due to your use of an outdated browser. Please update your current browser or use another newer one. Some older browsers don’t work with HTML5 code which is required to by our tool to send files. Your DropSend Account is Ready! Please read these Terms and Conditions (this “Agreement”) carefully. By using and/or paying for the services set out herein, you, as an individual or on behalf of an entity (hereinafter referred to as “you” or the “licensee”), accept the following terms. You agree to be bound by all the terms and conditions of this Agreement and you further agree that this Agreement is enforceable as if it were a written negotiated agreement signed by SJA Enterprises, Inc., doing business as DropSend (“DropSend”), and you. If you use the Services (as such term is defined herein) on behalf of your employer, you represent and warrant that you are authorized to enter into legally binding contracts on behalf of your employer. The same rights, limitations and restrictions that apply to you, apply to your employer. You agree that this Agreement is enforceable as if it were a written negotiated agreement signed by your employer. If you and/or your employer do not agree to the terms of this Agreement, or if you are not authorized to enter into legally binding contracts on behalf of your employer, you must not use the Services or make any payment. This Agreement may be periodically updated and the current version will be posted at www.dropsend.com. Your continued use of the Services constitutes your continued acceptance of any updated terms and conditions. 1.1 “Effective Date” means the date which you commence using the Services. 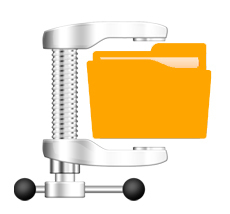 FREE: 5 file sends per calendar month and 250 MB of storage space. BASIC: 15 file sends per calendar month and 1 GB of storage space. STANDARD: 45 file sends per calendar month and 10 GB of storage space. PRO: Unlimited file sends per calendar month and 25 GB of storage space. BUSINESS LITE: Unlimited file sends per calendar month and 250 GB of storage space. BUSINESS: Unlimited file sends per calendar month and 500GB of storage space. ENTERPRISE PLANS: Custom enterprise plans are also available upon inquiry. 1.3 “Subscription Fee” means the monthly fee payable by you in advance in respect of the provision of the Services, as specified at url: www.dropsend.com/pricingsignup.php(subject to change from time to time). 1.4 “Subscription Period” means the period from the Effective Date until this Agreement is terminated in accordance with the provisions herein. 2.1 Subject to all of the terms and conditions of this Agreement, DropSend shall supply the Services to you and grant you a personal, non-exclusive, non-transferable, limited and revocable license to use the Services from the Effective Date for the Subscription Period. This license is personal to you and may not be assigned or sublicensed to anyone else without the written consent of DropSend. You must be at least eighteen years of age or older to open an account and use the Services. or upgrade the plan using the DropSend website or application. Subject to reasonable processing time, DropSend may agree to upgrade or downgrade your plan and may bill you for this change on a prorated basis for the remainder of the billing period, or beginning on the next payment date, at its sole discretion. 2.3 DropSend may from time to time offer “Free Trials Memberships” or other promotional offers. Upon the termination of a Free Trial Membership, you will be automatically subscribed to DropSend’s Services and you hereby authorize DropSend to bill your credit card for the Services selected at registration or otherwise for default Services designated by DropSend (usually a “Basic” or “Pro” plan). If you wish to terminate the Free Trial Membership and do not wish to subscribe to the Services, you must cancel before the end of your trial period by following the instructions set forth in the terms contained in the trial offer. 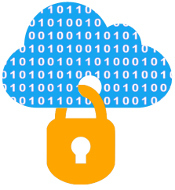 The ‘Free’ version of DropSend automatically removes any data stored longer than 30 days. Files that were delivered will likewise automatically be removed after 14 days. To prevent your stored data from being purged please upgrade to one of our paid accounts. 2.4.5Concerning sites and resources outside of the Services, even if linked to from the Services. 2.5.5 Undertaken on behalf of third parties. 2.6 You further agree not to reproduce, redistribute, sell, create derivative works from, decompile, reverse engineer, or disassemble the Services, nor will you take any measures to interfere with or damage the Services. Any use of the Services that is not expressly provided for herein is prohibited. 2.7 DropSend may, without providing notice, immediately suspend the Services and/or terminate this Agreement if you are in breach or, in its reasonable opinion, you are likely to become in breach of Section 2.5 or 2.6. 2.8 Your use of the Services are subject to DropSend’s fair use policy as set out more particularly at www.dropsend.com/fairuse.php . You hereby acknowledge and agree that if, within any month, your usage materially exceeds more than the average level of monthly usage of DropSend’s customers for the same Services then DropSend reserves the right to terminate or suspend your account without notice. 3.1 DropSend’s Property. DropSend has sole and exclusive ownership of all right, title, and interest in and to the Services and any software included in the Services, including all copyright and any other intellectual property rights therein. DropSend’s logo and name are trademarks of DropSend. All other marks or trademarks used or referenced by the Services are the property of their respective owners. Nothing contained in or through the Services should be construed as granting, by estoppel, implication, or otherwise, any license or right of use of any trademark displayed or used in conjunction with the Services without the written permission of DropSend or such third party owners. All rights in and to the Services not expressly granted to you are expressly reserved by DropSend. 3.2.1 As between you and DropSend, you own the content (including any video, image, text, audio recording, or other work) that you’ve uploaded, stored, transferred or otherwise provided through the Services (“Your Content”). You grant DropSend and its affiliates a limited, worldwide, non-exclusive, royalty-free license and right to copy, transmit, distribute, publicly perform and display (through all media now known or hereafter created), and make derivative works from Your Content for the purpose of (i) the display or use of information for use with the Services; (ii) allowing our employees or independent contractors to download, process, compile, store and otherwise use in order to provide the Services to you; and (iii) archiving or preserving Your Content for disputes, legal proceedings, or investigations. 3.2.2 In the event that a license is granted pursuant to this Section 3.2, such licenses will remain in effect unless and until you remove Your Content from the website and application, in which case the license granted will terminate within a commercially reasonable period of time thereafter. Notwithstanding the foregoing, the license for legal archival/preservation purposes will continue indefinitely. 3.2.3 With respect to Your Content, you represent and warrant that: (i) you have the right to transfer, store or otherwise use the content and grant the licenses set forth above; (ii) DropSend will not need to obtain licenses from any third party or pay royalties to any third party in providing the Services; (iii) Your Content does not infringe on any third party’s rights, including intellectual property rights and privacy rights; and (iv) Your Content complies with this Agreement and all applicable laws. 3.3 Password. The password and log-on details provided to you are confidential to you and you hereby agree that you shall not share such information with any third parties. You shall notify DropSend forthwith if you are aware of any third party having access to such information. 4.1 In consideration for the provision of the Services, you shall pay DropSend the nonrefundable Subscription Fee. 4.2 DropSend shall issue electronic invoices with respect to the Subscription Fee and shall collect the Subscription Fee from your credit card monthly in advance. Both parties agree that no refunds shall be given in any circumstances. 4.3 The Subscription Fee is exclusive of VAT or other sales tax which, if applicable to you, shall be payable by you at the then prevailing rate. 4.4 In the event that the Subscription Fee, as appropriate, is not collected in accordance with the provisions herein, DropSend may deny you access to the Services without notice. 5.1 This Agreement shall commence on the Effective Date and shall continue in effect for the Subscription Period. 5.2 This Agreement may be terminated upon thirty (30) days’ written notice. Without prejudice to the foregoing, in the event that you breach the provisions of Sections 2.5 or 2.6, DropSend may suspend and/or terminate the Services forthwith immediately and without notice. 5.3 If you do not access your account for a period of one hundred and twenty (120) days or more, DropSend may at its own discretion remove and/or purge your data and account from the system and terminate the Services forthwith without notice. 5.4 Upon termination of this Agreement: (a) the rights and licenses granted to you herein shall terminate; (b) you shall cease all use of the Services; and (c) DropSend shall at its own discretion remove and/or purge your data and account from the system. 5.5 The following provisions will survive the termination of this Agreement: Sections 2.5, 2.6, 3.1, 4, 6, 7, 8.1 and 8.2. 6.1 The Services are provided to you strictly on an “as is” basis. All conditions, representations and warranties, whether express, implied, statutory or otherwise, including, without limitation, any implied warranty of merchantability, fitness for a particular purpose, or non-infringement of third party rights, are hereby disclaimed to the maximum extent permitted by applicable law. 6.2 Your sole remedy with respect to any claims arising out of this Agreement shall be limited in the aggregate to the monies paid by you to DropSend under this Agreement during the twelve (12) month period preceding the event giving rise to such liability. 6.3 In no event shall DropSend be liable for any special, indirect, incidental or consequential damages, including loss of profits and goodwill, business or business benefit, or the cost of procurement of substitute products or services by you even if advised of the possibility of such damages; any delay or failure to provide the Services that is due to third parties, including, without limitation, internet service providers, data centers, server hosting companies and telecommunications companies; or credit card fraud committed against you by any third party provider of credit card services. You hereby agree to indemnify, defend, and hold harmless DropSend and its affiliates, directors, officers, employees, and agents, from and against all third party actions, including claims brought against you by other users that: (i) arise from your activity and use of the Services; (ii) assert a violation by you of any term of this Agreement; or (iii) assert that any of Your Content that you transferred, stored or uploaded violates any law or infringes upon any third party right, including any intellectual property or privacy right. In order to use the Services, you must respect the intellectual property rights of others. DropSend responds to notices of alleged copyright infringement and allows for such notices to be reported based on the Digital Millennium Copyright Act of 1998 (DMCA). Notwithstanding any other provision contained herein, DropSend reserves the right to suspend or terminate the Services with respect to repeat infringers, as well as delete and disable any content that is alleged to be infringing. 8.1 Governing Law. This Agreement shall be governed by the laws of the State of Oregon, United States of America, without regard to principles of conflicts of law. The Uniform Commercial Code, the Uniform Computer Information Transaction Act, and the United Nations Convention of Controls for International Sale of Goods shall not apply. 8.2 Disputes; Mandatory Arbitration. Any action arising out of or relating to this Agreement will be subject to mandatory arbitration. Any dispute will be administered by the American Arbitration Association (“AAA”) under its Commercial Arbitration Rules and the Supplementary Procedures for Consumer Related Disputes. The arbitration will be held in the United States county where you live or work, Eugene, Oregon (OR), or any other location we agree to. The AAA rules will govern payment of all arbitration fees. Either you or DropSend may assert claims, if they qualify, in small claims court in Eugene, Oregon (OR) or any United States county where you live or work. Either party may bring a lawsuit solely for injunctive relief to stop unauthorized use or abuse of the Services, or intellectual property infringement (for example, trademark, trade secret, copyright, or patent rights) without first engaging in arbitration or the informal dispute-resolution process described above. If the agreement to arbitrate is found not to apply to you or your claim, you agree to the exclusive jurisdiction of the state and federal courts in Eugene, Oregon to resolve your claim. You may only resolve disputes with us on an individual basis, and may not bring a claim as a plaintiff or a class member in a class, consolidated, or representative action. Class arbitrations, class actions, private attorney general actions, and consolidation with other arbitrations aren’t allowed. 8.3 Interpretation; Severability; Waiver; Remedies. Headings are for convenience only and shall not be used to construe the terms of this Agreement. If any term of this Agreement is found invalid or unenforceable by any court of competent jurisdiction, that term will be severed from this Agreement. No failure or delay by DropSend in exercising any right hereunder will waive any further exercise of that right. DropSend’s rights and remedies hereunder are cumulative and not exclusive. 8.4 Successors; Assignment; No Third Party Beneficiaries. This Agreement is binding upon and shall inure to the benefit of both parties and their respective successors, heirs, executors, administrators, personal representatives, and permitted assigns. You may not assign this Agreement without DropSend’s prior written consent. No third party shall have any rights hereunder. You acknowledge that DropSend can transfer this Agreement to a third party at any time without notice. Nothing herein shall limit DropSend’s right to object to subpoenas, claims, or other demands. 8.6 Modification. This Agreement may not be modified except by a revised Agreement posted by DropSend on its website or a written amendment signed by an authorized representative of DropSend. A revised version of this Agreement will be effective as of the date it is posted on the website. 8.7 Third-Party Beneficiaries. Nothing in this Agreement shall give, directly or indirectly, any third party any enforceable benefit or any right of action against DropSend and such third parties shall not be entitled to enforce any term of this Agreement against DropSend. Please leave this page open while you click the verification link in the email that we just sent to the email address you entered in the "From:" field. Then return to this page to finish sending your file. Share files and manage your storage right from your iOS or Android device. 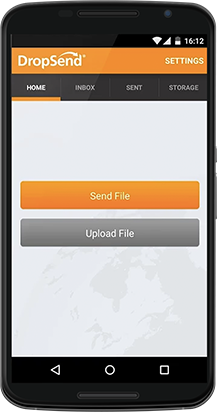 With DropSend Mobile App, you can upload files to your storage and send them, access your Inbox, review sent items and manage your account. Get Dropsend App right now!